It's only 772 characters. We strongly recommend writing at least 1.000 characters. Use content that makes your app unique (features description, characteristics, how to use your app, ...). Your description needs to convince people to download your app. Also, be sure to add important and relevant keywords in your description to improve your iTunes app page and optimize your SEO. Organize, browse, and share your precious photos. 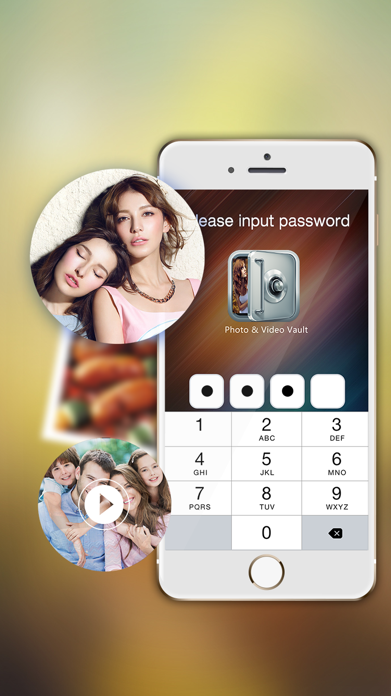 All your most important photos are PASSWORD PROTECTED with this app. Manage your photo collection with simplicity. - You have to delete them yourself after importing. - All information is stored only in device.